It wasn't like I didn't already know. My birthday had come and gone with the absence of his card, addressed as he always had, "to my one and only." Thanksgiving followed, the first attempt in my adult life to cook a turkey and he wasn't there to carve it. Christmas meant one less gift to buy. But it wasn't until the following June, standing in a card store shopping for a birthday card that I really got it. He was gone. He was never coming back. There were no more silly ties to buy for him. No more bear hugs and phone calls asking me if I had any clue why my mother wasn't talking to him. No more corny jokes. No more him. The first man I had ever loved, the one in whose eyes I could do no wrong and whose big bear hugs had always assured me that everything, no matter what would be okay, had died. It was true. I had suddenly become part of a tribe I had not wanted to join. It hit me hard. Like that big wave that crashes over your head just when you thought the ocean was calm. The one that throws you forward and leaves you gasping for air. Except I wasn't standing on the beach with my toes sinking in the sand. I was in a card store surrounded by people who still had a father to tell them funny stories they'd heard a hundred times before but still made them laugh. People who weren't like me. Until that moment I had no idea I had been riding on a wave of numbness for months. Since that September day I got "the call" that forever changed my life. I stood in that stationery store, surrounded by rows of brightly colored cards with sentiments from jokes to proclamations of "Best Dad in the World!" feeling more alone than I ever had before in my life. He really was gone. This was not a bad dream I was going to wake up from. I was going to celebrate Father's Day 1987 and every Father's Day forward with only his memory. I wanted to turn back the clock to that last Father's Day we had spent together. I drove home early that Sunday morning from the summer share house I had in Avalon, New Jersey, stopping before I hit the causeway bridge to pick up a container of She Crab soup and jumbo shrimp as part of his present. He had been recovering from a stroke the October before, but he was getting better. There was no indication that three months later, at sixty-four years old, a heart attack would end his life. That warm June afternoon, Dad and I sat in the backyard on the old lawn chairs he had painstakingly repaired with green and white webbing. We devoured the shrimp, disposing the shells into a brown paper bag, while looking out over the vegetable garden he called his, but my mother really tended to. He didn't say much, which was typical of that last year. His new dependence on the rest of us had taken his once jovial and contagious good spirit out of him. But it didn't matter. I was happy to be sitting with him, savoring the moment and just being his daughter. Until that first Father's Day I had been proud how strong I had been and how I had kept all my pain in check. But now, as I stood, my knees weak from the rush of emotions, tears filling my eyes until I could barely see, I saw how useless that had been. My hurt was still raw and fragile. Keeping it inside wasn't helping me. It was just keeping it fresh so it could pop up like an uninvited dinner guest at the most inopportune moment - like inside a crowded card store. I adjusted my Ray Bans securely over my eyes and got out of that store as fast as I could. The wound I felt was not like one of those boo boos Daddy put a band-aid on when I was a kid, kissed it to God and promised me would be gone by the time I got married. This was the kind that would never mend completely. There would always be little crack around the edges where it looked to be healed, that if provoked would still make me cry. It's why I avoid card stores on Father's Day. But what I never avoid are the memories. Of the joy my father brought into my life and the lives of everyone who knew him. 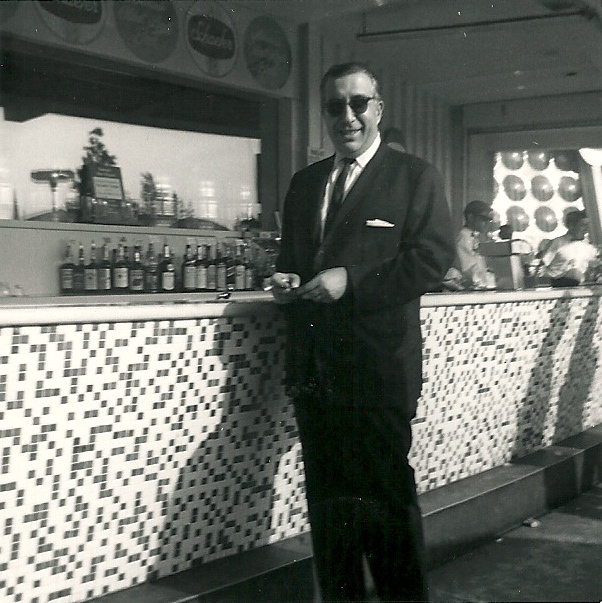 Of his big laugh, how he loved to dance Greek, his endless brags about growing up selling hot dogs on the boardwalk at Coney Island and that he was one of the few people I have ever met who could make any kind of real progress with the Sunday Times Crossword Puzzle. The man, who if he had lived to grow old alongside my mother, would have embraced the Internet and made sure she had a computer and high-speed Internet access so she could read this article.